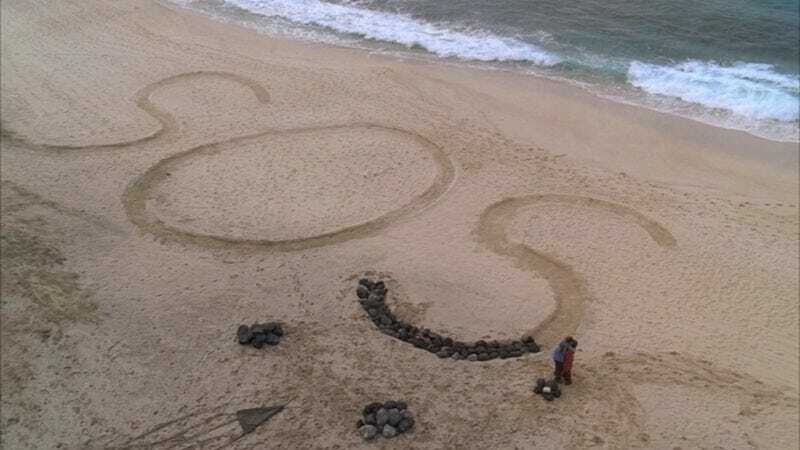 “S.O.S.” is a sweet episode of LOST featuring the story of how Bernard and Rose met and came t be on the Island. But there was a bittersweet aspect of it as well. We see how Rose and Bernard meet. Bernard helped Rose get her car out of a snowbank and Rose invited him for coffee. Next flashback we see is Bernard proposing at a restaurant, with violins and everything. This is where Rose dropped the news that she had cancer that had returned and that the doctors said she might have a year or a little more. Bernard was clearly devastated, but he wanted an answer to his question anyway. After they get married, Bernard took Rose on their honeymoon to Australia, looking for a faith healer named Isaac. Rose was upset with Bernard, telling him that she had come to grips with her condition, but Bernard responded that he hadn’t. He is clearly a fighter and will fight with everything he has to keep his love with him. Rose sees Isaac, who tells her that he cannot help her. Isaac’s power comes from the place on the earth and this place is not the correct place to help her. Rose tells Bernard that Isaac healed her so he would not spend the rest of their time together trying to fix things. In the airport, Rose speaks to Locke in his wheelchair, so she knows that he was crippled prior to the Island. After the crash, Rose realizes that the Island has cured her of the cancer. Bernard, who had been trying to organize the creation of a big S.O.S. sign in the sand, had unfortunately chased off his helpers with his brand of management. Rose told him the truth about Isaac and the Island. Bernard agreed that if this place kept Rose healthy, then they would never leave it. I always thought that Rose and Bernard were married for a longer time, but this seems to imply that they were married for less than a year prior to crashing on the Island. I loved Rose and Bernard and they were a great pair of background characters for this show. While this was going on, Jack and Kate went to the line where the Others told them not to cross to try and trade Henry for Walt. Along the way they got caught in one of Rousseau’s nets, talked about their issues, and Kate said she was sorry for kissing him. Jack said that he wasn’t. This special moment was of course interrupted. This time by Michael running through the jungle before collapsing at their feet.